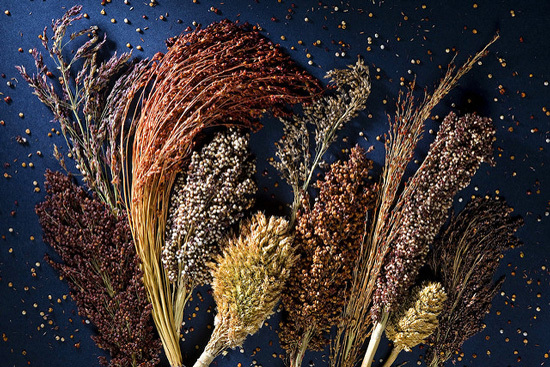 The first time Geoffrey Morris walked out into the acres of sorghum growing up in the nested association mapping (NAM) panel, he was confronted with the extraordinary diversity of this ancient crop. While some stalks towered overhead, others grazed knee-height. The heads of grain puffed up in an earthy rainbow—pale yellows, deep reds, orange rusts, and smoky greys— in shapes that ranged from compact orbs to drooping plumes. “Seeing this incredible diversity and knowing we had the conceptual tools to make sense of it was a wonderful experience,” Morris says. Morris’ work with the NAM could eventually make a difference to the 500 million smallholder farmers across the world who depend on sorghum. But his journey started in a much more abstract field. Morris was first drawn to research by his interest in evolution and adaptation, and he started his PhD training around the time the first yeast comparative genomics datasets were emerging. His thesis work focused on computational analysis of gene expression evolution in yeast, but part-way through his degree he began to have doubts about his professional direction. “I realized I wanted to find a way to apply evolutionary genetics to real world problems,” he says. 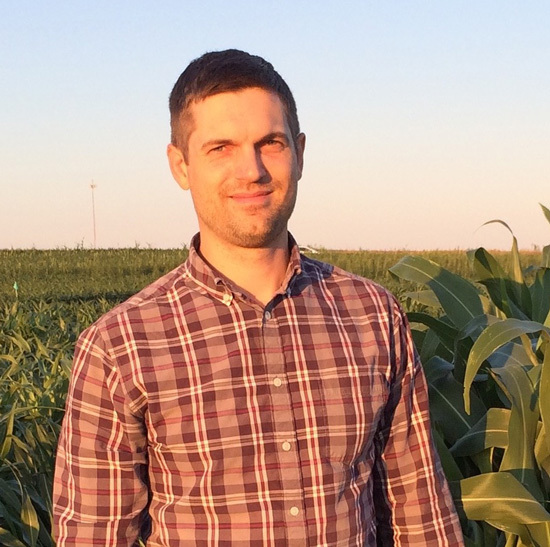 After a postdoctoral project working on the bioenergy crop switchgrass, Morris set his focus on sorghum. Although evolutionary studies and crop genetics have many intellectual connections and common roots, in cultural terms these fields have drifted apart since the days of the early geneticists like Nikolai Vavilov. That makes Morris unusual. “What’s fascinating is he’s got this great background in ecological and evolutionary genetics and a good grounding in quantitative genetics, and he’s been able to really take that knowledge and apply it to crop genetics, ” says Ed Buckler (US Department of Agriculture). Buckler led the development of the NAM approach and its first application in maize, and he is currently working with Morris and Gael Pressoir (CHIBAS Haiti, Quisqueya University) on a new USAID-supported project to implement genomic selection in the Haitian sorghum breeding program. The project builds in part on Morris’ work predicting adaptive traits in sorghum by identifying SNPs associated with the environmental origin of the different varieties, an example of how the insights of adaptation genetics are being put to work for sorghum farmers. The species is a good model for such approaches, says Morris, because its incredible phenotypic diversity comes with a smaller, more tractable genome than many other cereals. “It’s such a fun system to work on,” he says. Sorghum. Photo credit: Lawrence Berkeley Nat’l Lab – Roy Kaltschmidt, photographer. Shared under a CC BY-NC-ND 2.0 license. Sorghum is one of the most important crops of semi-arid regions of the world. In many parts of Africa and Asia, it is a staple food that is also used for animal fodder and brewing beer, while in the US it is primarily grown as livestock feed and to make bioethanol. As a drought tolerant and versatile crop, the importance of sorghum will likely increase as global climates change. Morris’ lab works closely with the national crop improvement programs of Senegal and Niger, which are developing new sorghum varieties to handle environmental stresses and to meet the needs of farmers. In this partnership, the US scientists primarily contribute resources for genomic assisted breeding, as well as training (Morris is mentoring two grad students from these programs). In exchange, his group learns from the African scientists’ expertise on crop diversity and the challenging production environment. Originating in Africa between 5,000 and 10,000 years ago, the crop’s unusual diversity may have arisen through some combination of its long history of domestication around the world, adaptation to the enormous range of climates and geographies in which it is grown, and the wide variety of uses it has been bred for. But this genetic diversity is a double-edged sword, says Morris. On the one hand, it provides a huge amount of scope for breeders creating new and improved varieties. On the other hand, managing this diversity in a controlled breeding program is a constant struggle. For example, genome-wide association mapping in sorghum is complicated by the large number of local varieties that have diverged through selection and/or inbreeding, because population structure can generate spurious associations between alleles and traits. Multiparental linkage designs, such as NAM populations, break up such population structure by crossing locally diverged varieties, and should thereby sidestep the problem of spurious correlations and offer boosted power to map traits in sorghum. Development of the sorghum NAM was initiated by Mitch Tuinstra (now at Purdue) Jianming Yu (now at Iowa State University). Yu had previously played key roles with Buckler in describing the NAM concept and its application in maize. For the sorghum NAM, one common reference line was crossed with 10 diverse founders and then the progeny were inbred to generate more than 2,000 recombinant inbred lines. Morris took over the NAM when he started his lab at Kansas State University in 2013, working with postdoc Sophie Bouchet (now at INRA, France) to finish line development, genotyping, trait validation, and simulations. In an MPP paper published in the June issue of GENETICS, Bouchet et al. describe the NAM, map the key adaptive traits of flowering time and plant height, and show the QTL for these traits were more consistently identified with the NAM than with genome-wide association mapping. Using simulations, they demonstrate that the NAM is three times more powerful at detecting QTLs under strong selection than association mapping. At the same time as the NAM was being characterized, graduate student Marcus Olatoye used it to successfully map leaf, stem, and inflorescence architecture traits (paper in preparation). As useful as this tool has proven, its large size makes it challenging to phenotype; to conserve resources Morris’ group is not currently growing the entire NAM population. However, he is excited for the next stage of the project: using high-throughput field phenotyping methods developed as a part of the TERRA Reference Phenotyping Platform. These approaches measure traits from the sky, using unmanned aerial vehicles for efficient phenotyping, including assaying ecophysiological features important for water use and drought tolerance.